The only view in England protected by law. 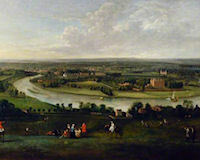 Description: This is Richmond Hill - the only view in England protected by an Act of Parliament to protect the land on and below Richmond Hill and thus preserve the fine foreground views to the west and south. It can be accessed and traversed by steps called Terrace Walk, laid out in the 18th century leading down to the river. 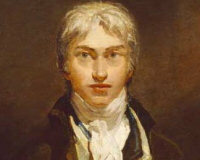 The spectacular views from here were immortalised in paintings by Sir Joshua Reynolds and J.M.W. Turner. Ye heavenly Birds! To your Progenitors. Indeed Richmond Hill was once quite famous for it's nightingales. It was also described by Sir Walter Scott as an unrivalled landscape. Credits: Painting circa 1722 by Peter Tillemans, courtesy of the Government Art Collection. This is where artist JMW Turner lived his last days and died.